Now that it’s well established Captain Cold is making his return on next week’s episode of The Flash, The CW is not resting on its laurels and has instead decided to step up the marketing campaign for season 3’s penultimate offering. Aside from an extended trailer, which can be viewed at the top, the network has continued its proud tradition of circulating eye-popping promo posters on social media. 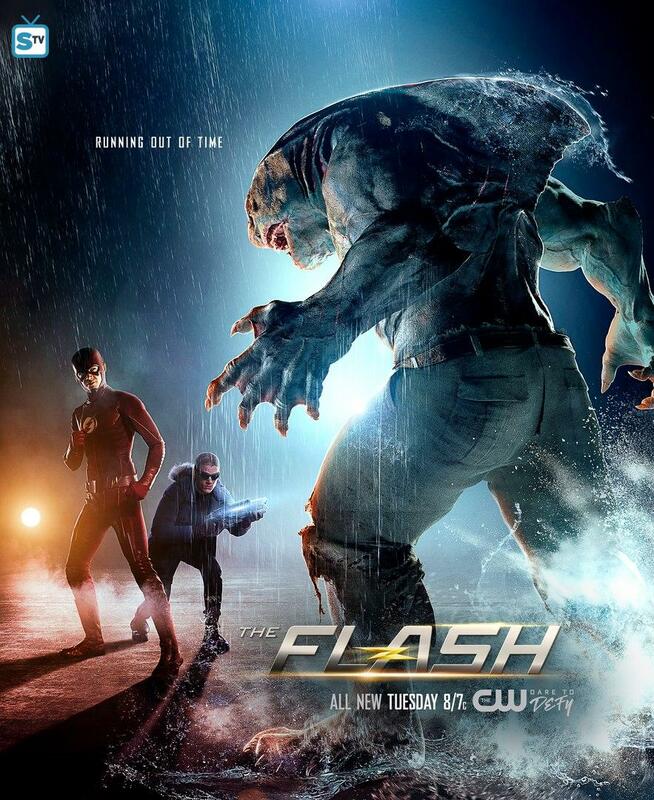 This one in particular is especially visually impressive because it sees an also returning King Shark confronting the Scarlet Speedster and Leonard Snart, with some gorgeous rain effects thrown in. Personally, I find this to be more aesthetically appealing than something with, say, Gorilla Grodd because I think King Shark just looks more realistic and polished when it comes to purely CGI characters to have appeared on the show. Fortunately, this confrontation will be made a reality as it appears that ARGUS have opted to use the beast as a guard dog of sorts, with him protecting an alien power source that Barry Allen is in desperate need of in his quest to thwart Savitar’s plans. So, don’t expect any form of bait and switch here.